It has been away for a little while now, but Mash Up Monday is back. 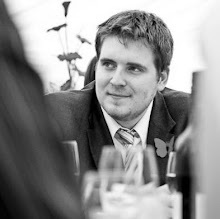 Ryan Fitzgibbon is the Search Strategy Development Director at ZenithOptimedia in London. This blog is his way of keeping note of the fascinating progression of the technology and advertising in our daily lives! Please note that all posts and comments made in this blog are a reflection of Ryan's opinion only, and do not in any way reflect the opinions of ZenithOptimedia or their clients. Sir Clement Freud - Funniest Joke Ever? Ryan Fitzgibbon. Awesome Inc. theme. Powered by Blogger.